“Every once in awhile you have the pleasure of coming across jewelry that just calls out to your soul. Like literally you have a spiritual connection with the piece. 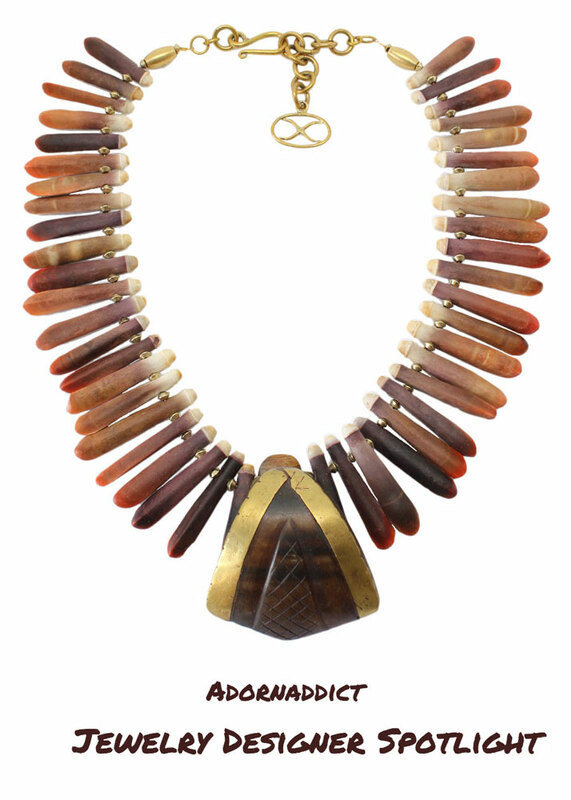 The above necklace, “The Aurora” is a handmade piece of exquisite beauty featuring a lip plug from the Toposa tribe of South Sudan, the lip plug itself is made from recycled goat horn and inlaid with brass. How can I not be drawn to this piece? Sea Urchin spines complete the necklace and the fanned collar adds a dramatic flair.